Large free-flowing timer housed in a tough, impact resistant polycarbonate case. The bulbs are heavily cushioned at both ends. 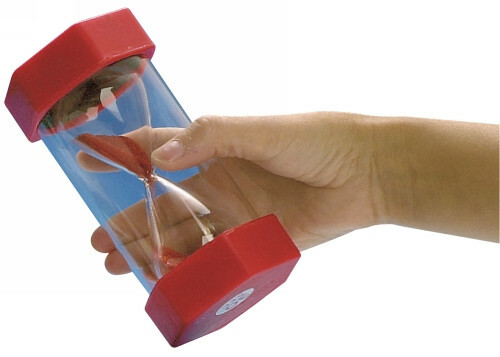 Sand timers are perfect for use in games, accurate timing and experiments. Also ideal for students who need to develop time limits for certain activities. Large sand timers are a great calming resources for some children.